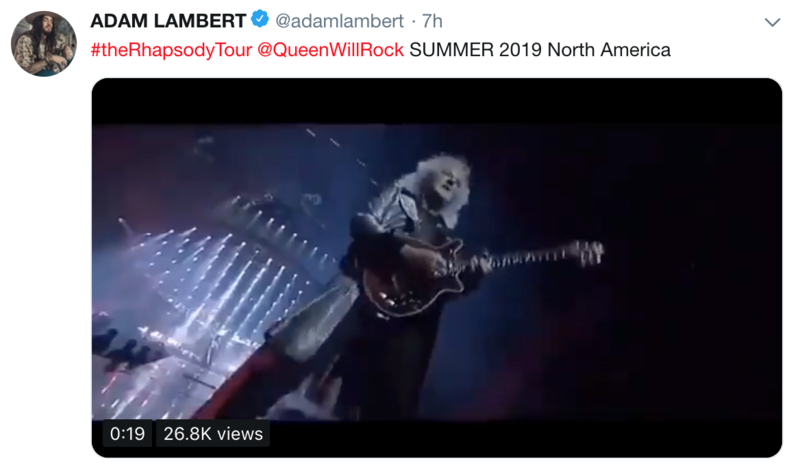 “On the heels of the success of the Queen biopic Bohemian Rhapsody, the current iteration of the band, Queen + Adam Lambert, have announced a 23-date North American arena and stadium tour for 2019. The outing, dubbed Rhapsody, runs from mid-July through late August. Tickets for the Rhapsody tour go on sale to the general public starting December 7 at LiveNation.com, at 10 A.M. local time. Fan Club presales will run from 10 A.M. local time through 10 P.M. local time on Thursday, December 6. 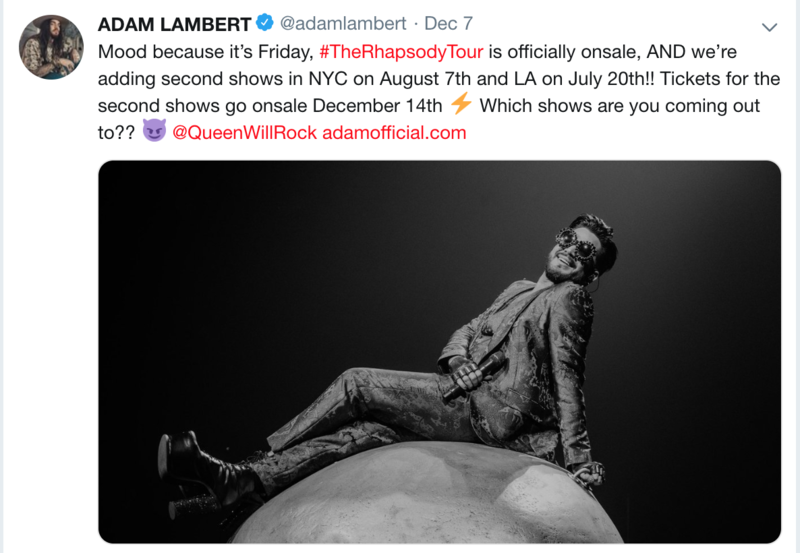 You can check out all upcoming Queen + Adam Lambert tour dates, below. The 2018 Kennedy Center Honors will be broadcast on December 26 at 8:00 PM ET. 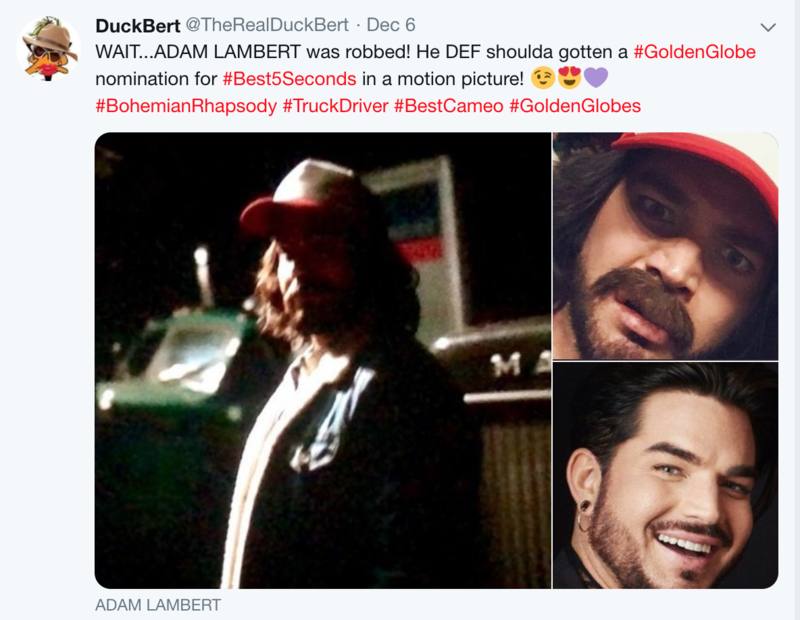 For the chance to win an Ask Me Another Rubik’s cube: What is the name of the character @adamlambert played on @GLEEonFOX? 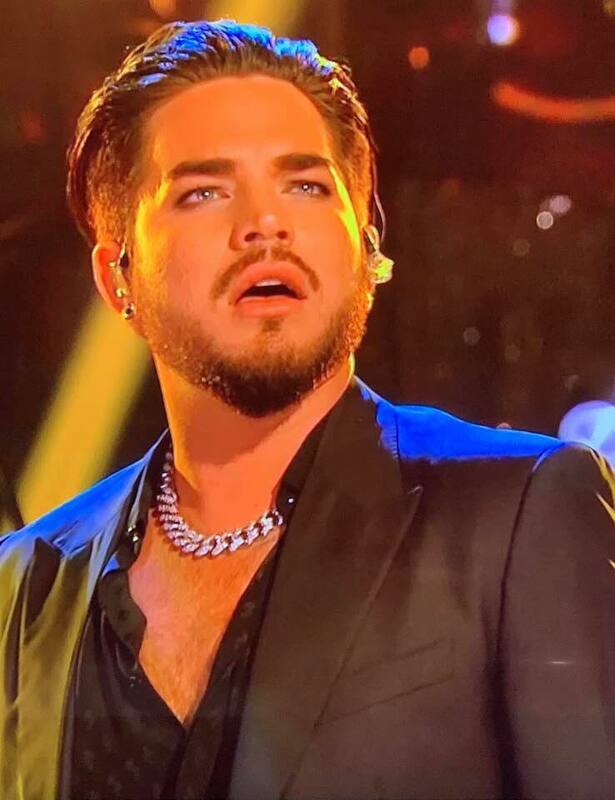 Esquire – Adam Lambert Isn’t Here to Replace Freddie Mercury. He’s a Queen Frontman for the 21st Century. Posted last year, worth re-reading! “The way that I navigated that initial intimidation, I said, ‘What was his intention with the song? '” says Lambert of his internal dialogue with Mercury’s legacy. 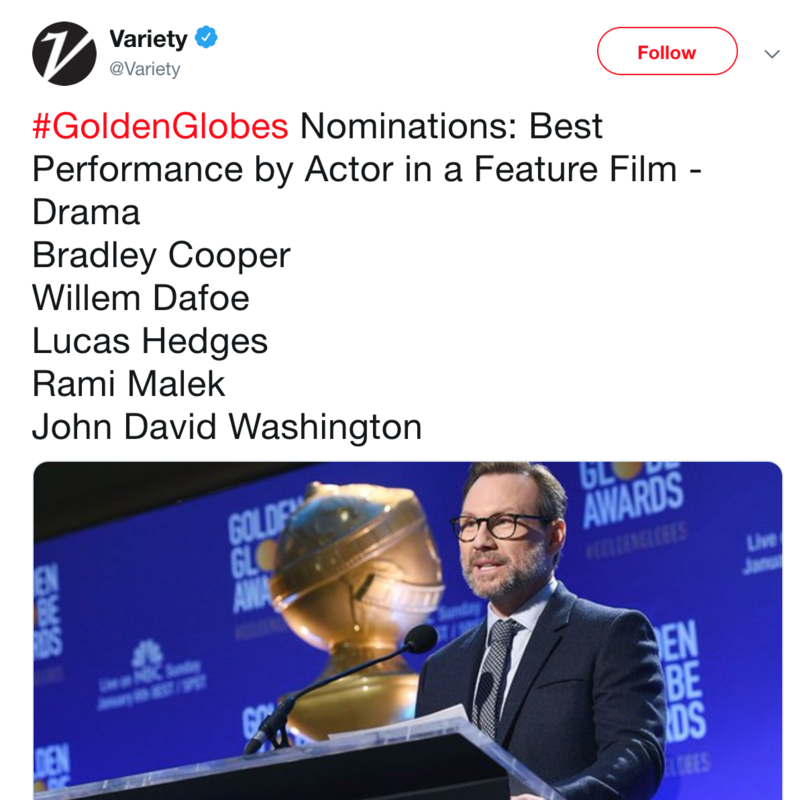 “‘What did he want the audience to feel, and what story was he trying to tell?’ As long as I focus on that, it usually lands. I have to avoid listening to the records too much. I don’t want to imitate, copy, or mimic; I think that would be sort of tacky, and it’d be sort of disrespectful to the fans. I’m not here to do an impersonation. I’m here to make sure these songs are still heard, to keep the songs in a live space…. Subscribe to our blog and receive email updates. 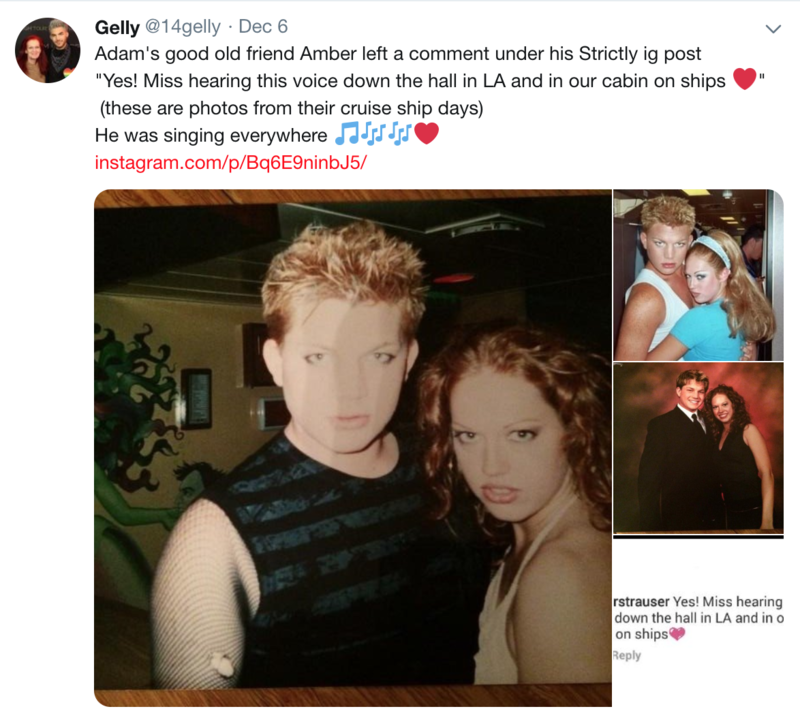 For the fascinating, hilarious and gripping story of how this amazing global community came into existence, read our book On the Meaning of Adam Lambert! More relevant today than ever! Pharaoh, you have grown both in physique, well-groomed fur and muscles, and in stature. Santa… Aha! I see a man wearing a red hat, red coat with a red bag…Helloo Santa! It’s me up here! Daddy Adam opens the door…Ho Ho Ho Merry Christmas! Santa rummages his Santa bag and flicks out a package…Pharaohboy wagging its tail vigorously, instantly stands and pirouettes on its sturdy hind-legs. Santa unwraps Pharaoh’s gift flown all the way from the North Pole on Santa’s flying chariot…a juicy chunk of pork ribs on a silver platter! Merry Christmas Each and Everyone! I hope this Christmas brings a roof over the heads refugees and disaster victims living under horrific conditions, and hot nutritious meals every day. God be with us all. Daddy, what are you doing? Tai chi ? You want to see how I do Tai chi ? Joseph Schooling : Tokyo 2020… Here I come…See you there ! Michael Phelps won 8 Gold Medals at the Beijing 2008 Olympics. 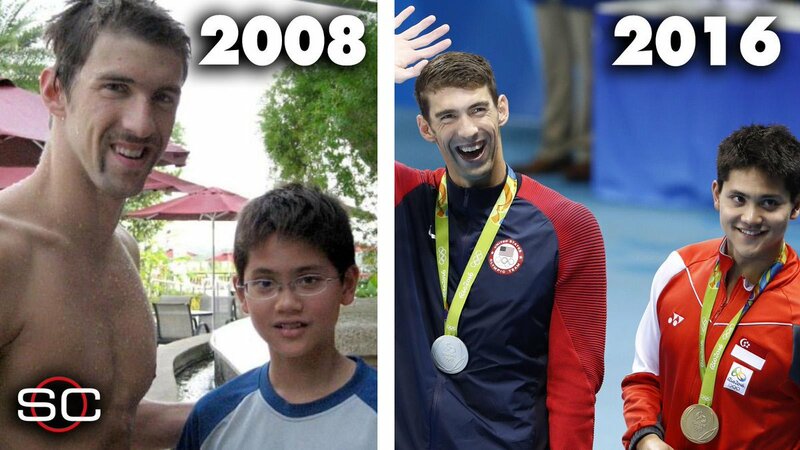 He was en-route to the Olympics via Singapore where he trained for 2-3 weeks and that was where little Joseph took a photo with his Swim Idol. Lo and behold…though he knew of a plausibility, he wasn’t 100% sure until that iconic moment ! breaking the 100m Butterfly Olympic Record held by Michael Phelps. Merry Christmas and Happy New Year to 2 Icons ! A quirky tale, Merman – Since Joseph Schooling will be participating in the 2020 Tokyo Olympics…I have a little tale, in anticipation of this fierce 100m Butterfly fight to the last 0.01 sec finish for Gold! Joseph, 2016 Olympic Champion, was filming in the South China Sea. He loved the clownfish hovering among the sea anemone, a symbiotic relationship of survival for both. Then a strange large blurry shadow came into view, undulating his body and tail, basking in the sunlight streaming through the clear blue waters. Joseph straight away directed his underwater camera at the never-seen-before sea-mammal…a Merman! He decided to follow this half-man half-fish; he just couldn’t take his eyes off him. The Merman realised he was being followed and soon disappeared into a hollow cave. Joseph kept following and filming; the Merman rested on a rock in the sea-cave. Joseph swam up-close to take some closeups…especially his powerful V-shaped tail-fin that torpedoes him through the ocean. Helloo…who are you and why are you following me? Merman gently inquired. Joseph could not believe his ears! thought they were playing tricks, after being submerged for hours in his tireless underwater search for something unusual…he found it! You can speak? Whoa! Have I crossed into another realm of existence…Joseph managed to finally utter some words. I’m a Merman and have lived in the South China Sea all my life; would you like to explore my labyrinth? Yes, yes! I’d love that! Joseph got onto the rocky ledge and the Merman hobbled on his V-shaped tail-fin as if it were his legs; led the way through the tunnels of labyrinth, Joseph filming every inch of it. Then something brilliant caught his attention. That’s my underwater Crystal-ball, an ancient heirloom which I use to look into the future…murmured Merman. He held it up and whoa!…a rainbow spectrum reflected around the cave wall ! Joseph was taken-aback that in an underwater cavern, he could find a Crystal that could give a glimpse into the future. Mmm…wonder if I would snare that covetous Gold medal in 2020. Would you like to visit my wooden shack by the sea, Merman? Joseph extended his cordial invitation. Joe! Joe! Get up! You need to go for your Olympics rehearsal…Say hi! to Michael Phelps for me…Love him! Joseph got up and headed straight for the Olympic pool; scratching his head…really? just a dream but I talked to the handsome Merman! Aha, I shall watch my underwater film when I return…there may be something there…an OBE! (out-of-body experience). 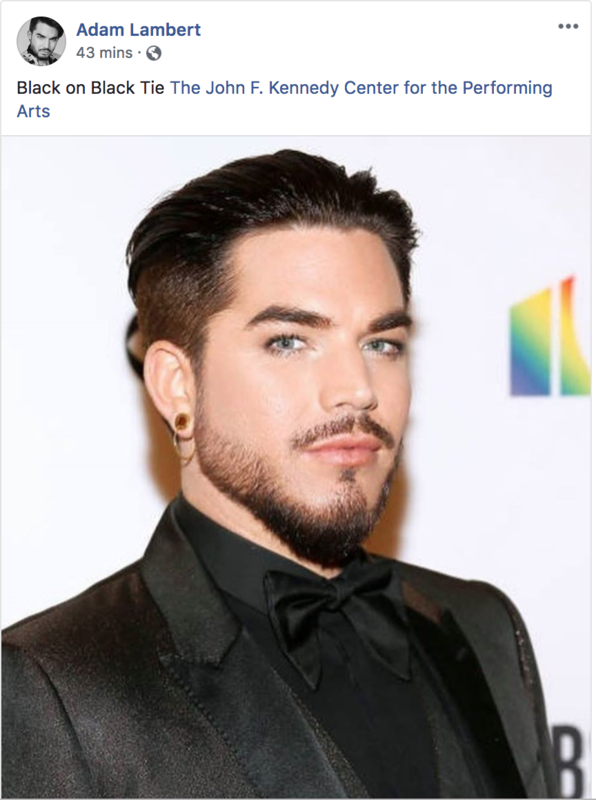 @AdamLambert …liked a friend, Lukefontana’s comment on his post: “Did Pharaoh (🐕) take this video?” – Thanks, Pharaoh! Hey there Pharaoh the Graduate! You are getting rather high-life savvy! in Las Vegas! second time round in a short interim. 你好 ni hao Lam-My…I go wherever Daddy takes me…love to mingle with so many new friends, love the new tastes of food; kind of miss the tranquility of home zzzzzz, sometimes with one special uncle ooooeeh! They all love me. Please God, put a roof over the heads of those who have none and food on their table as well.